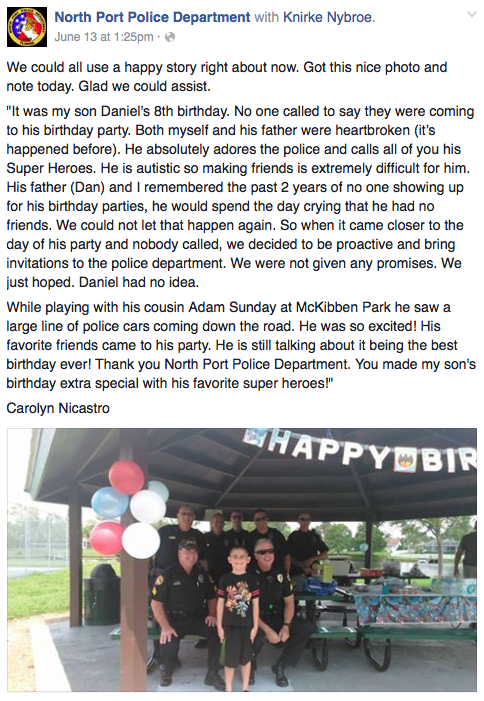 Daniel Nicastro’s last two birthday parties had left him in tears. “I was actually like, ‘Oh my God, what’s going on?’” the boy’s father told News Channel 8. The post has since gone viral, and sparked an enormous outpouring of thanks toward the department — which has received dozens of telephone calls, praising its work, from around the world. Daniel’s party has also prompted the police to hold a community birthday event for other children in the area who feel left out. “The reaction from here at home and across the world to Daniel’s birthday party and our small gesture of showing up when others didn’t has been AMAZING!” the department posted to Facebook on Tuesday. 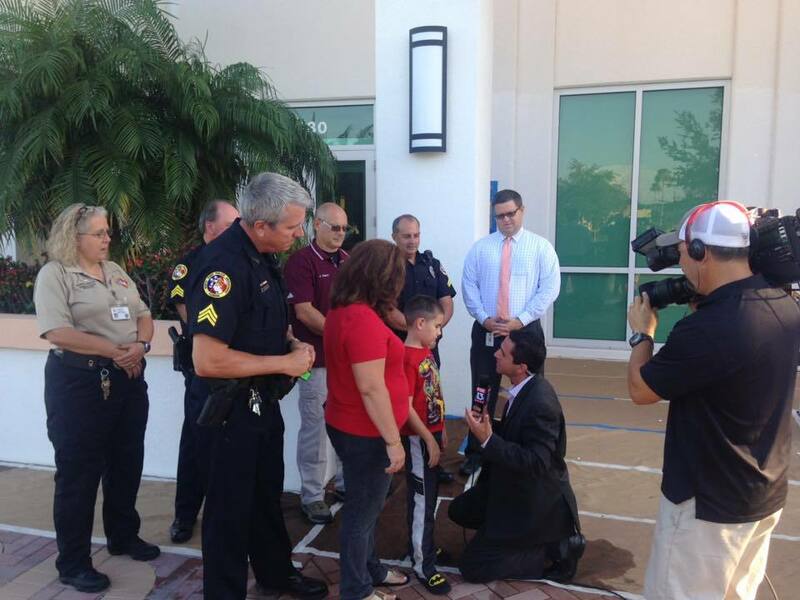 “We want all our kids to know how special they are and see how much our community cares for them,” it added.